Promote Your Event at Taborspace! We've heard people asking for an online Taborspace event calendar and wanted to let everyone know, we like it! We'd like to introduce the new online Public Events calendar. We are regularly posting free and ticketed events open to the public that are happening at Taborspace. 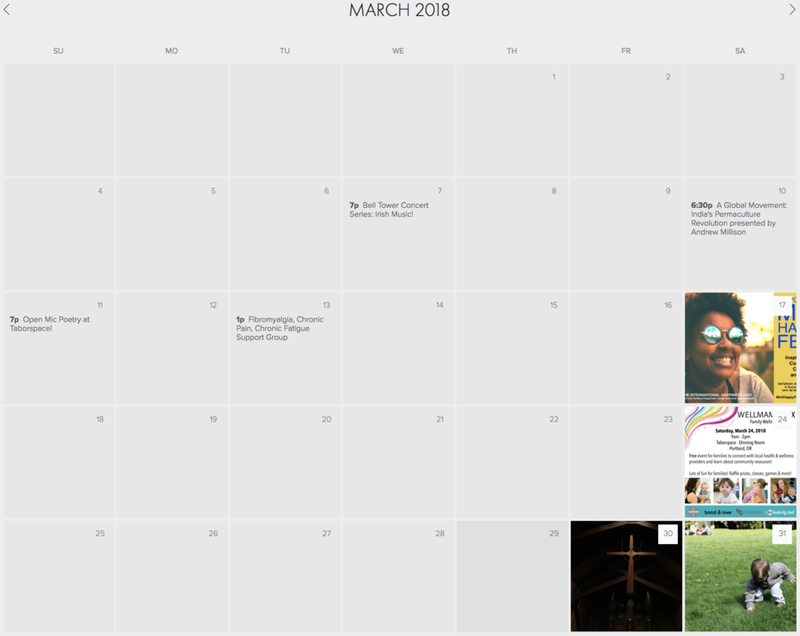 If you're looking for a specific kind of event, the calendar will have searchable categories, like concert, family, education, recovery, and more! For an additional $35, Taborspace staff will help create a promotional design for your event! $15 will also cover courses for up to 5 events max, as long as the information doesn't require changing for each day. Weekly recurring events get added to our Weekly Events calendar at no cost! Get your event listed on Taborsapce.org!